Airobot, a Belgium-based innovation company developing new technologies for professional drone operations, has supplied a positioning solution for MSC PSA European Terminal (MPET) in Antwerp, Belgium, informs the company. 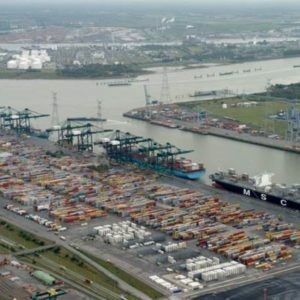 In 2016 MPET, formerly known as the MSC Home Terminal, moved its operations from the Delwaidedock on the right bank of the river Schelde to the Deurganckdock on the left bank, expanding its annual capacity up to 9 mln TEU. MPET has selected Airobot, the company that develops and integrates collision avoidance, navigation and positioning systems. 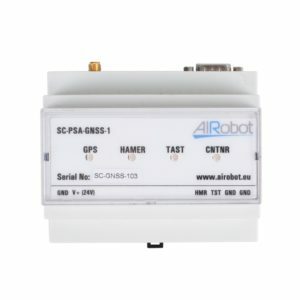 The SC-PSA-GNSS unit integrates the AsteRx-m GNSS receiver from Septentrio NV and uses the European EGNOS satellite navigation system to provide submeter accurate positions. The receiver has field-proven multipath mitigation technology on-board to cope with the many GNSS reflections caused by all the metal containers. It also combines satellites from the American GPS and Russian GLONASS systems to provide a solution close to the quay cranes. “We believed that the knowhow and expertise of the Airobot team could help us to get a solution fast, and they delivered what they promised,” says Douwe.